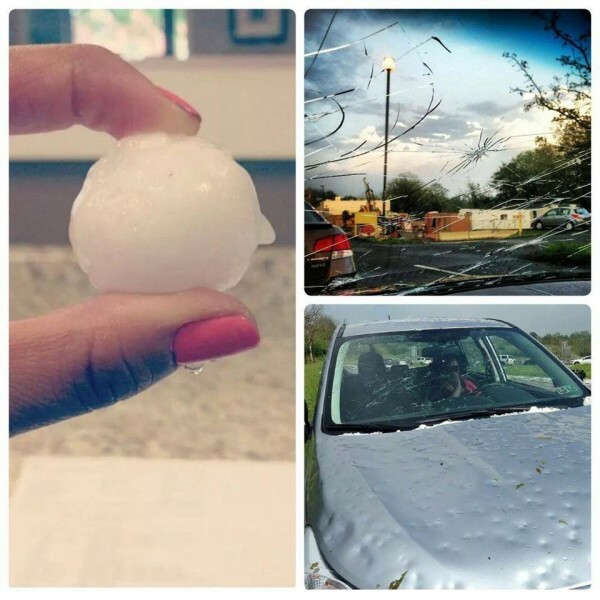 Less than a week ago Colorado got hit with an abnormally intense weather system, one that sent baseball-sized hail and multiple tornadoes ripping through Colorado on Wednesday afternoon May 21 21014. The weather was tied to a dangerous super cell thunderstorm that, in addition to heaps of hail, produced a number of tornadoes and other twisters. The National Weather Service said there were reported tornado touchdowns in 5 nearby towns One witness, Jeff Piotrowski, said shortly after 3 p.m. (5 p.m. ET) that he had personally seen five tornadoes on the ground not far from Denver International Airport. In fact, Frontier Airlines based out of Denver had to take six planes out of service due to hail damage. The damage to local car owners could be in the thousands. So can a car be totaled out just from hail damage? Sadly, yes it can even though the damage is only cosmetic. This is especially true following a freakish storm like the one in Colorado. 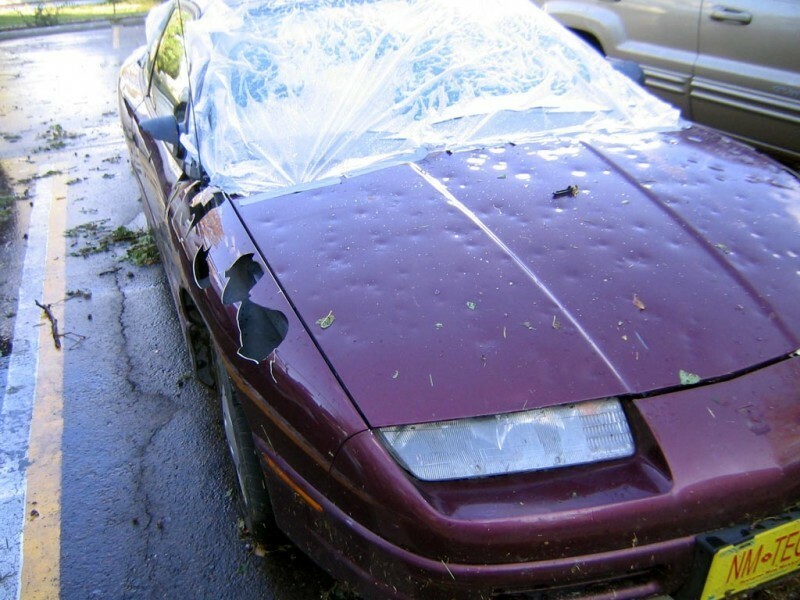 It is a complete hassle to have to come up with a deductible or replace a car that has been damaged by mother nature, but you probably don’t want to keep a car that has received that much paint and body work, depending on the severity of your hail damage. If your car has to have most of its panels replaced and receive ½ to ¾ of new paint, you will probably be glad that you didn’t fix the car in the long run as the repairs could age differently than the rest of your car, or problems could crop up in years to come. However if you do get your car repaired, be sure to use a body shop with a lifetime warranty should you run into trouble in the future. To show you how bad hail damaged cars can be, there are “hail sales” at new and used car dealers following bad hail storms in order to dump the hail damaged inventory at low prices. Dealers will offer to sell you the vehicle at a lower price with the existing hail damage (which you can get fixed if you want to), or the dealer will fix the hail damage for you at a discounted rate and still sell the vehicle at a discount. Most time the dealers will simply file a claim on their insurance, get paid for the damage, then turn around and sell you the damaged car at a discount. It is easier for them to move the cars than to repair them and try and sell them as new. How do body shops fix hail damage? In most cases the replaceable body parts will be swapped out for new or used ones and painted to match. This is for parts like hoods, fenders and doors and is only true for the severely damaged parts. Roofs and minor dents will likely be removed via a method called Paintless Dent Removal or PDR. If the windshields are cracked damaged or broken they will be replaced. 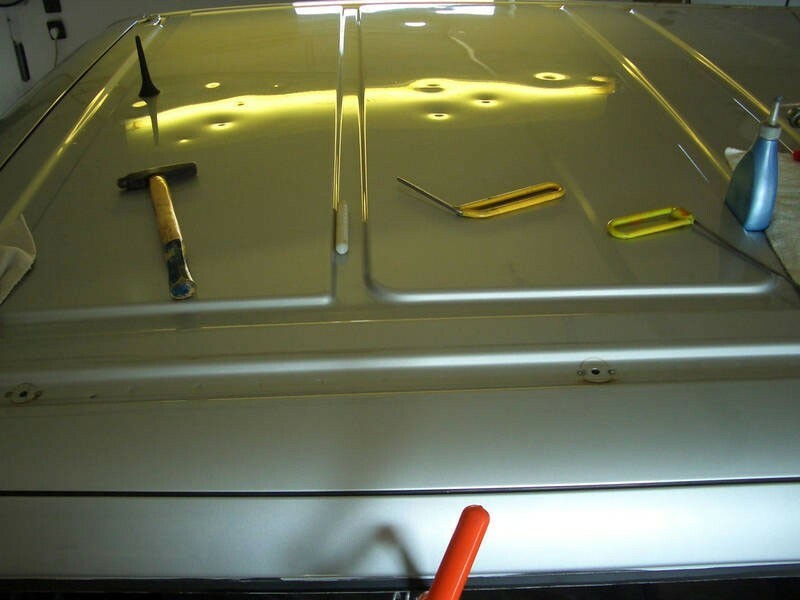 If the roof was damaged severely the metal might be too stretched to properly repair through paintless dent removal. In most cases, depending on the age and value of the car, if it cannot be repaired through PRD, then it is going to get totaled. You might want to read up on some of my posts about what to do if your car is totaled, and what to do about glass replacement. So for the folks in Colorado, or anyone else reading this who is victim to one of Mother Nature’s freakish hail storms, we offer our condolences. If you want to get your car fixed right, be sure to use our website to find and review a quality auto body shop near you. Frank S. had this to say about Vin's Paint & Body Shop Inc.